Emmeline B. Wells was born in New England in 1828. As a young woman, she joined the LDS Church and moved to Nauvoo. 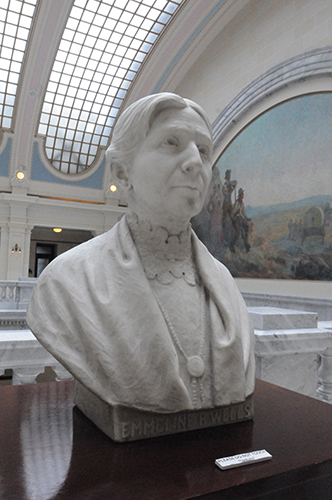 In 1848, she crossed the plains with Mormon pioneers to live in Salt Lake. Emmeline Wells is now remembered for her work as a journalist, a poet, and a women’s rights advocate. She was very influential in bringing women the right to vote.